From the cat walk to the doggie park, all eyes will be fixed on you and your sweet precious pet. Protection from inclement weather or just to make a fashion statement, pet clothes reflect your pet's style and personality. 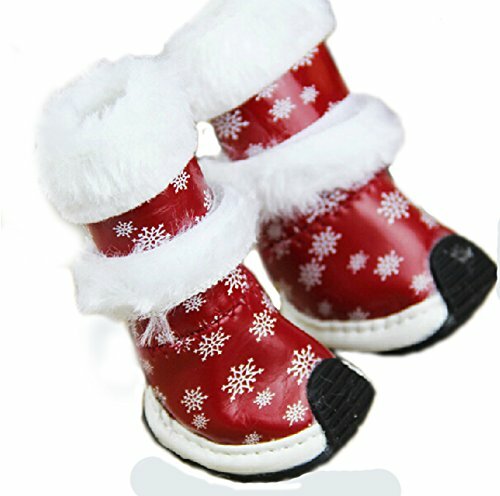 Sensitive paws shielded from hot sidewalks and icy streets with comfortable and fashionable booties. 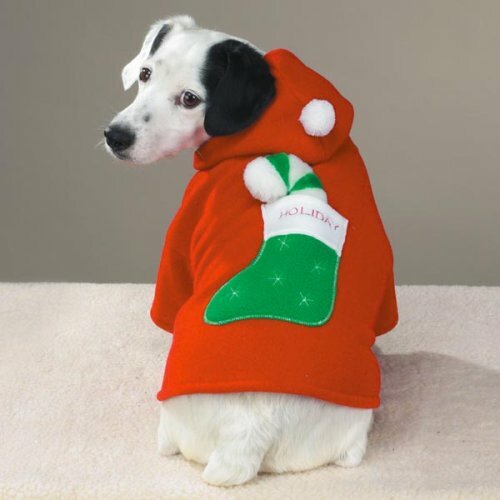 If you're having a holiday house party, you can dress your pet in a festive outfit to celebrate the occasion with your guests. If your little princess is a true girly girl, she'll expect to be the most feminine female at the party or marching in the parade. Rich velvet fabric, perky bows and a touch of faux fur are absolute requirements for a festive look. 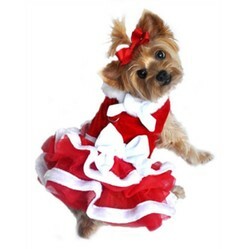 Chiffon, satin and a bit of glitter or sequins might be the style she's looking for to get into the holiday spirit. 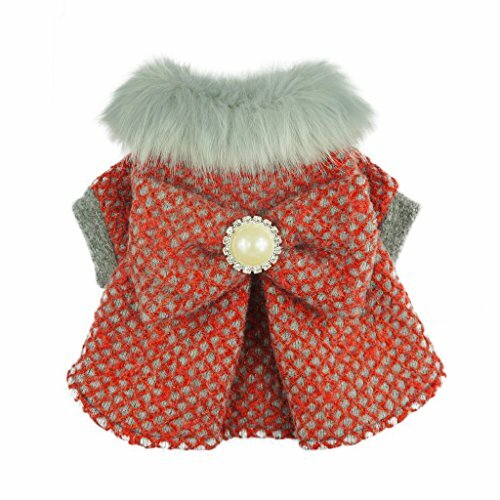 For a night on the town, scurrying from one party to the next, your little cutie wants comfort just as much as she wants elegance. As her personal assistant and fashion consultant, it's your responsibility to assure that all eyes, and cameras, are on her. Glitter and sequins, fur trim, big bows and belts! What's her style? What's hot on the red carpet? Jaw dropping ankle boots that flawlessly transition from daytime to evening...that's what! 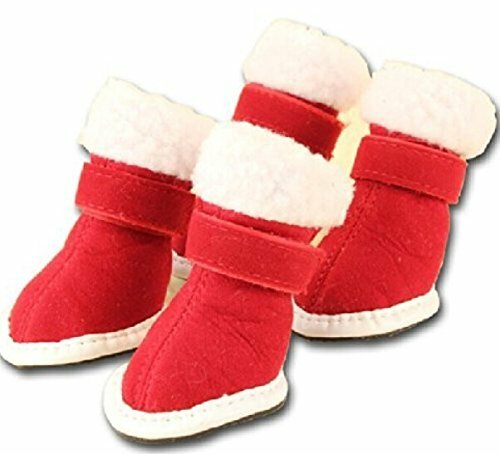 Elegant red suede booties with white fluffy trim for a more demure look, or kick it up with a pair of red and white snowflake boots with a front drawstring. 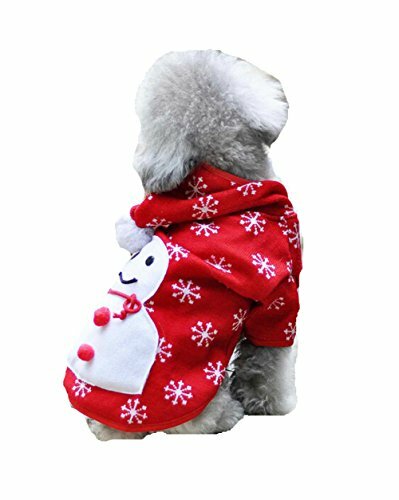 Both styles are designed to keep your precious pet warm and dry. Maybe your four-legged friend isn't quite the party animal, so dressing up isn't her cup of tea. A rough and ready casual afternoon of running through the park playing hide and seek with friends will suffice for your outdoorsy type. Bundle her up in a warm and comfy hoodie for frolicking in the snow. 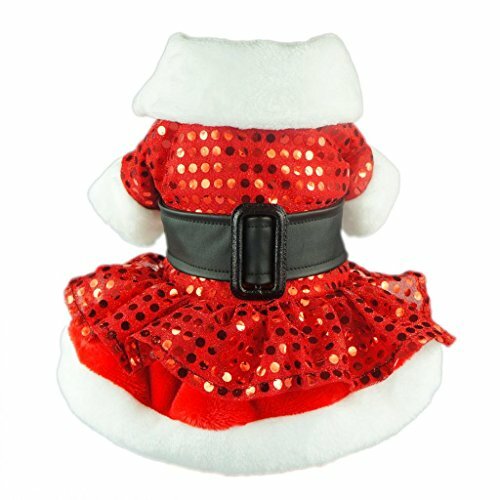 These styles can be worn by both boy and girl fur friends yet still celebrate the holiday season. Oh what fun it would be to see Santa and his Elf running around the Christmas tree making merry. 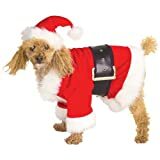 If your furry friend has a whimsical personality, dress him or her in one of these holiday costumes for your party or when out strolling through the neighborhood. They'll be the talk of the town and all the other critters will be green with envy. candy47, The boots and hoodies look practical for pet-walking in cooler weather. Christmas sweaters are usually pretty and festive and fun. Wouldn't you like to step away from that stereotype and introduce your friends to the ugly and tacky and weird?